It has been the talk of the town for the past few days, so we turn our attention to the problem of driver weights. On this show, we discuss ditching the water supply, the merits of being short and what could force the FIA's hand. The lighter side of F1 has been an issue for a while, but has kicked off this week thanks to Adrian Sutil. 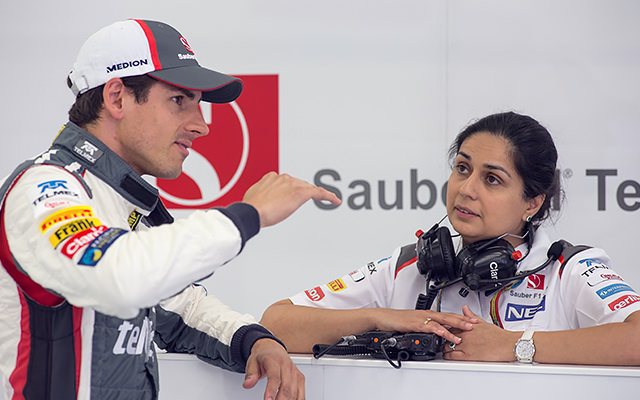 With the problem of a heavy Sauber, plus a tall and thus heavier driver on board, Sutil has opted to ditch his water bottle in the hopes of saving a few precious grams and tenths of a second. We discuss the implications of such a thing, what has prompted the decision, and where it might lead in the future. It's a discussion with many angles, and we cover as many as possible, but as always, it's up to you to get in touch, set us straight or let us know what you think about F1 getting lighter and lighter all the time.